Tim Tebow–How Can ZERO NFL Teams Want Him? The Confidential gets that Tim Tebow is not a great quarterback. He does not have the arm or the accuracy or the intelligence or whatever. But ESPN the Magazine had an article indicating that nobody wants Tim Tebow. The Confidential cannot believe that there is not one of 32 NFL teams that can find a spot for Tim Tebow. It is just not fathomable. Trying to catch up on a few things after the fine Syracuse run through the NCAA lax tournament. Getting crushed at the faceoff x was bound to catch up. This Syracuse team overachieved all season and almost pulled off another National Championship. The Confidential is about the ACC. The ACC is in competition with the Big 10. Rutgers is now part of the Big 10. So we are justified at laughing at the follies of the Big 10 and Rutgers. But, even if we were not justified, schadenfreude is our weakness. We have made fun of Rutgers (a fine University, we must note) in the past and we will continue to do so. Heck, we’ll defend Rutgers, where appropriate. For today, let’s all take a moment to roast some marshmallows over the Rutgers’ dumpster fire. This weekend’s NFL draft featured the selection of exactly ZERO players from Pittsburgh. This is odd because Pitt usually had among the best recruiting classes in the Big East. They are able to keep a lot of that great Pennsylvania talent to stay at home… but it rarely translates into wins. And now the team is going backwards—having to dismiss two players and indefinitely suspend two others. Tight end Drew Carswell and defensive back Eric Williams, both juniors, have been removed from the team. Carswell, Williams and defensive tackle Khaynin Mosley-Smith were all suspended last week after police made a drug raid on their house. Yikes. Not a good thing when a drug raid occurs at the house of players. And then, in a separate incident, Chryst gave the indefinite suspension penalty to yet another player–QB Tra’von Chapman. Chapman was arrested in Ohio over the weekend for assault and something called “unlawful restraint.” Whatever it is, it isn’t good. ESPN had Chapman as the 20th best QB coming out of high school. Pitt has had better football weekends, that’s for sure. Look, the Confidential is no friend of Rutgers. Do not believe us? Check out this post. Yeah, pretty harsh. That being said, the Confidential MUST opine that society is on a slippery slope where the only thing that satisfies anyone is when a person committing an offense loses his or her job. So, regardless of whether Tim Pernetti advocated for the termination or suspension of Mike Rice, the news that Tim Pernetti was fired or resigned under pressure of same is simply absurd. Let’s not forget that Tim Pernetti was not the one being abusive to players in practice. He was not the one that crossed the line. Sure, he hired that guy. But Tim Pernetti is not someone with an anger control problem, nor does he pose any danger to student-athletes. What Tim Pernetti was fired for was doing a poor job at managing an already ugly situation. Now, Rutgers sent Rice to anger management classes. Why not send Tim Pernetti to basic management classes? Rutgers is a proud university; certainly somebody at that institution teaches a management class that Tim Pernetti could take for a grade. Maybe even an ethics class? The Confidential finds it hard to believe that Tim Pernetti–the athletic director–was beyond salvaging. Instead of faculty recommending that he audit a class taught at Rutgers, the faculty did the easy thing–advocated for his termination. Mission accomplished. The sad part is that Tim Pernetti oversaw the transition of Rutgers from a middling athletic program in the Big East, to being Big 10 bound. This is the equivalent of winning the lottery. Only Tim Pernetti will not be around to spend it. Some other guy or gal will fill his role and get to go on a spending spree. That is really too bad. What is worse is that this just keeps happening again and again. Our overly-litigious, overly-critical, overly media-frenzy driven society just cannot handle anyone making a mistake. Instead, mistakes are now unforgivable. Which is fine for the rapists, murderers, and abusers. But when it comes down to poor judgment in response to a situation, the Confidential thinks that it is time for everyone to take a step back before advocating for termination and only termination. Rutgers was not Penn State. The “kids” abused by Rice were adults. They had the ability to speak out. They had the ability to group together to demand his ouster. Some had the ability to say enough is enough. So nobody should even go down that road. If there is a more compelling analogy, it is Bobby Knight. Mike Rice was no Knight when it comes to wins, obviously. Heck, Mike Rice (111-61) has only a few dozen more wins than Pat Knight (73-72). But nobody fired Bobby Knight for a long, long time. The fact that Tim Pernetti did not fire Mike Rice is not a mortal sin or a crime. It is a mistake. We need to stop firing people over mistakes. The interesting thing about all of this is that Penn State, Indiana, and Rutgers are all about to be part of the same conference. For a conference that purports to be so much more cultured than the SEC, it sure does have its disproportionate number of problems with coaches and abusive behavior. But, if anything, Rutgers overreacted with respect to Tim Pernetti. Syracuse joins the ACC in a few months. Nevertheless, it has been one scandal after another since Syracuse and Pitt announced that they were joining the ACC. Might as well just call the Orange ScandalCuse at this point. Syracuse University basketball has been under NCAA investigation for a period of “years,” a source with knowledge of the case told CBSSports.com. That source said the school has received a letter of preliminary inquiry from the NCAA. The specific nature of the alleged violations was not disclosed by the source but the transgressions were described as both major and wide-ranging in nature. The investigation also encompasses football but is believed to primarily involve basketball. Syracuse has been penalized only once by the NCAA in a major case according to the association’s legislative database. That was in 1992 in a case that focused on extra benefits in the basketball program. Later blog entries on the site revealed a calmer analysis. And Jim Boeheim went the calm route, as well, eschewing the opportunity to spew venom. In any event, it is yet another negative news story regarding Syracuse. September 19, 2011: Syracuse and Pitt announce that they are leaving the Big East for the ACC. November 17, 2012: The Bernie Fine scandal breaks. January 21, 2012: Fab Melo suspended for unknown reasons. March 20, 2013: Today’s news. Really, it is understandable if Syracuse fans feel a bit reluctant to reach for a newspaper link to a news story. Lately, despite having uber-competitive teams and the Bernie Fine scandal being seriously overblown, the news has been mostly negative. Especially in March, which also includes the March 15, 2010, injury to Arinze Onuaku. Other schools have had similar injuries, suspensions, scandals, and bad news… but all of it in a three-year span? So, yeah, let’s just call it ScandalCuse from now on. And give a Syracuse fan a hug. It is needed. Hopefully our Miami correspondent will have much more on this later, but the NCAA finally got around to handing down its allegations to Miami–lack of institutional control. Of course, the real issue for Miami fans is what kind of sanctions the Hurricanes are looking at. But at least Miami has an idea of exactly what violations the NCAA is pursuing. To its credit, Miami has self-imposed significant sanctions already, including the voluntary loss of two bowls. Of course, Penn State fans will probably make the argument that Miami’s crimes are worse NCAA violations than what happened in Happy Valley. Why is it a great day as a Cane? Yesterday, at 12:oo PM, the NCAA discovered improper conduct in its investigation against Miami. Many people are speaking out against the NCAA, could the NCAA just drop the case overall? It is now investigating itself. The NOA (Notice of Allegations) is not expected anytime soon. A few hours later The Canes pulled off one of the greatest upsets in College Basketball history. Miami was a heavy underdog against Duke, but just beat the ranked #1 Blue Devils 90-63. Durand Scott scored 25 points for Miami, and Kenny Kadjishot added 22. Shane Larkin had 10 rebounds, and dropped 18 points. Julian Gamble also got 10 rebounds. But one of the big stories of the night was Reggie Johnson’s unexpected return. Although he scored just 2 point, his 5 rebounds in just 16 minutes really fueled the Canes. It was one of the biggest losses ever suffered by a number one team and the first time Miami has beat a team ranked 1 in College Basketball. The only time Coley has actually called plays, was at FIU in 2007, FIU went 1-11 that year and finished dead last in scoring offense, they averaged just 15.5 ppg. Although this is attributed to the lack of talent FIU had at the time, we won’t know until next year if he’s a capable play caller. On a more positive note, Coley is praised as an elite recruiter though. Only time will tell if this is a good hire. Look, the Confidential understands conference realignment. 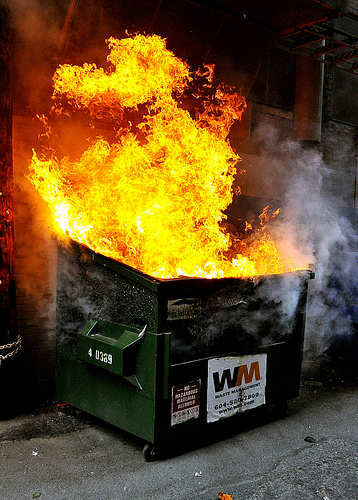 The Big East was a dumpster fire for several years after the defections of Boston College, Virginia Tech, and Miami. If Maryland cannot balance its budget, imagine how Pitt, Syracuse, West Virginia, Utah, Rutgers, and TCU felt trying to do the same on 1/2 the revenue (or less). The Confidential also understands that the TV revenue at issue is real and can fairly be a factor in the realignment decision. As blogs like Frank the Tank pointed out, you cannot look at expansion without considering the impact on TV revenue. This is the very concept that makes Rutgers and its athletic futility more valuable than UConn and its multiple national championships and BCS appearance. The Big 10’s selection of Nebraska showed that on-field product still mattered. But this latest expansion into Maryland and New Jersey is solely about money. Unfortunately, this is nothing new–it is just more of the same money-obsession from large, public universities that thrive on research dollars. In fact, if you look at Frank the Tank’s blog, you’ll see that research dollars are discussed with pride. A university engaging in $300,000,000 a year in research is deemed “better” than a university that only takes in $100,000,000 a year. There are rankings and everything, both for comparing current Big 10 teams and differentiating prospective ones. Apparently, the only criteria for measuring research is the volume. And the measurement of volume is dollars. The more the better, regardless of where it comes from and whether it is useful research. Well, this same approach now applies to the Big Ten and its television network. It does not matter what is being shown on television, it only matters that it is being shown on television and generating revenue. Much like research dollars, the only metric that matters is revenue. The conflict of interest becomes obvious. If research is “for sale,” the integrity of that research soon follows. If State University takes the $10,000,000 research grant from Conglomerate X, can it conclude that Conglomerate X’s product is dangerous and still get a similar grant the following year? When you hear that study indicating that using bleach kills 99% of harmful germs, you then hear that it was a study financed by a company that sells bleach. When you hear that studies show pork to be a healthy alternative to chicken, we the hear that the study was financed by the pork industry. And so on. None of this is meant to condemn all research, much less any specific research. We all hope that cures for diseases are around the corner. Of course, there is a problem when there is a financial incentive to never find that cure. If you get $10,000,000 a year for cancer research, curing cancer will mean a reduction in revenue. This is a corporate conflict of interest problem. It should not be trickling down to Universities beholden to corporate research. Strictly speaking, there is no reason why Universities cannot be corporations and maximize revenue to the exclusion of any other particular moral obligations. But there IS a problem with Universities doing so and pretending to be something other than for-profit industries. The Confidential just noted the absurdity in not taxing Division I sports revenue. Well, there needs to be taxation on Universities that are engaging in this level of research. If you want to be a business, be a business. If you want to be a tax-free educational institution, cut off the flow from corporate interests. Although one has to move yet another step beyond sports for a moment, ask yourself where the United States stands in 2012 compared to 1965. While there are many reasons for it, we no longer “trust” government. Does anyone see “FDA Approval” and feel comfortable? As Yale Scientific Magazine notes, the FDA admitted to wrongdoing in 2010 with respect to the approval of a medical device. If you are not skeptical, go get yourself some Vioxx. Can we even trust science any more? Perhaps not if the science is being funded only by interested parties. Like research, we hope that athletics is also objective. While people watch figure skating and gymnastics with their subjective scoring in great numbers, many more fans prefer the objectivity of score-based sports. The better team wins, and you can look at the scoreboard to see who wins. But as money completely takes over sports, the corresponding loss of integrity and objectivity will suffer. It is not a surprise that the Big 10 athletic conference cares more about the money it generates than anything else. This is consistent with the research focus of such Universities. One has to question when this will, like the FDA, spill over into a lack of integrity on the field. If all that matters is money, wouldn’t it be prudent and expected for the Big 10 to ensure that 10-0 Ohio State beats 5-5 Maryland in 2018? Maryland should willingly accept its loss because the following week’s Ohio State-Michigan game will generate more TV revenue, to the benefit of all. Well, at least as it relates to the only criteria that matters to large, public universities–money. Carry on, Big 10. Carry on.